Hey, I've released a new update, versioned 24.0 with some mind-blowing features. Today was a hella bug fixing day. After the release of Toggle Mod v23.0 (which was 2 days ago, from the writing time of this article), my inbox started fillin' up with bug reports. So here we go, most of the game crashing bugs are fixed. Scroll down to know more in detail. Zoom Bug - A small code replacement bug caused the game to crash whenever you try to zoom-in. It only occurs, when you disable the Magic Zoom feature. It's fixed now. Magic Player Speed - I forgot to add a crucial code which caused this entire feature to not work. Now this has been fixed. Spawn Weapon Select - A small hex code bug, which caused the app to auto select a weapon as your primary weapon, if you haven't selected any. It's fixed now. 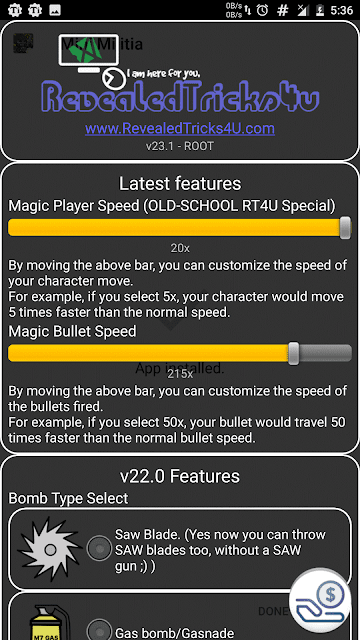 Magic Player Speed - Increased the maximum speed from 10x to 20x. 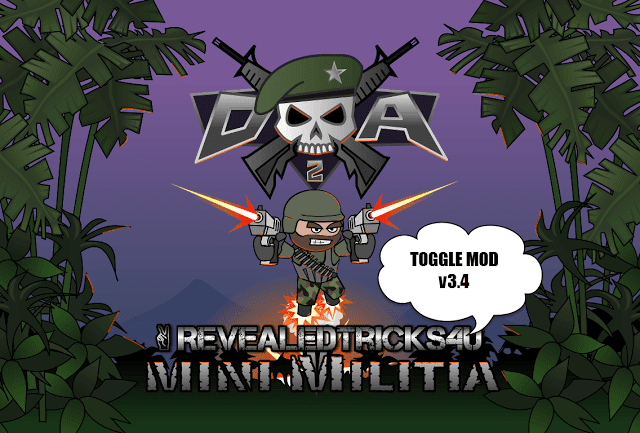 Toggle-Mod-COMBO-v23.1-RevealedTricks4U.com.apk (4.16 MB) - Click on Skip Ad after clicking this link, to get the download page. 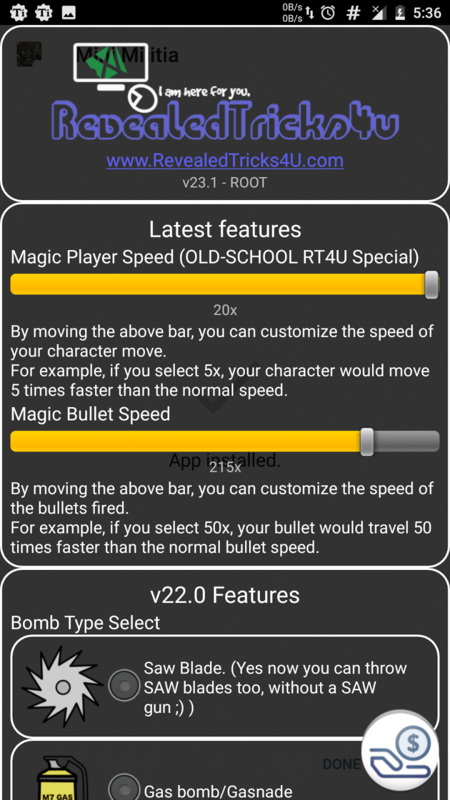 magic player speeds bar is 2x,5x,10x,20x it doesn't looks good it is like 1x,2x,3x,4x,5x,6x,7x,8x,9x,10x,........ so it is become more specific. when I select magic bullet speed 50x or more the bullets goes invisible but still working and killing enemies. Plz fix this issue. I've seen this same comment on the previous post. I hope this version has fixed your problem. Could you please converse in English? I use redmi 2 prime(root) my gameis crashing using ur new mod help!! Hello sir,THANK YOU sir for this amazing toggle mod. But please add this feature in next mod. I really appreciate your positive comments.
" Add one button besides the bomb button which is work as pause the game (like: magic pause;in this bar put seconds).but in this pause i am free to play and others are paused for some selected seconds. Kindly read the instructions above, if it still doesn't work. Please hit me up with more specific details. Hey bro awesome work at first it crashed like before but after some tries I restart my device and it worked well like before thanx for fixing it. Use the Custom Skill feature for that. Just move the slider to 10 and patch it. Ver23.1 is taking too long in patching. If the patching process completes at least, then it's upto your device's performance. If else, try changing your SELINUX status to permissive. Just move the Magic Player Speed slider to 2x. RT4U fix this error. When match is about to start, game returns me to my homescreen. And plz add an aibmot feature. Make sure you've followed all the instructions listed above, before making a bug report. First of all Great Thanks for making this toggle mod for us. But, There are 2 issues with me about the mod. 1. When selecting bullets per shot greater than 1 the range of bullet decreases heavily. This is seen when the enemy also uses the same gun. I got killed several times due to this issue cause my bullet won't reach up to enemy though I have 7X zoom and infinite bullet range checked in Mod. 2. And the patching problem of this toggle mod started from V8.1 is consistently remaining till this update. As I'm a rooted user I prefer to use root option of the mod but this problem is a bit annoying so still have to get along with non-root version. Please fix these thing... THEN YOU ARE THE GOD OF THE GAME!! :D :D Nice Work. !!  Ya the first bug is a known bug and am already working on it. As for the second one, try changing your SELINUX status to Permissive, that would work out. Please read my reply to his comment, then. Might be a temporary issue, just a quick reboot of your device is all enough for that. No root version is fine but root version is taking infinite time to patch. It's not patching at all. Fix it soon. Why pro pack is removed? While I can select pro pack weapon as spawn weapon, but can't activate pro pack? Is this really being fair to developers? Or limitations of your patcher? Haha thank you for the appreciation. 15. Transparent bush - No more hiding �� Bushes will be transparent. But, it's a bit out-date, most of the feature listed above are already implemented. And for the other non-implemented features, I'll surely take a look onto it. Please don't copy and paste my previous comment. I was the one who suggested that to SHIHAB. sHIHab, do you remember me? I was the one who originally posted that. It was not him. Can I be like your beta tester? I'll be the one that will test your new features for bugs before you release it so you'll know if it does have any. Of course I remember you. And, I've already sent you a invitation to join our team, but due to some of your technical limitations, you happened to ignore it. Anyway feel free to join our WhatsApp group or send a mail to [email protected], we could have a conversation over there. Thanks for your reply SHIHAB, I will now join your whatsapp group ASAP. I will join once I have installed WhatsApp. Thanks for replying again. Heey bro can u please provide me a link from where i cn download ths mod? after patching the binary from toggle mod v32 the game closes every time i open it and go to survival or online play. the game closes on its on.. help needed! after patching the binary from the togglr mod. the game closes when ever i go to solo play survival or online play to check the changes that i made. but the app closes..
is there any way to fix this? cuz i really need one!